Today’s post is written by Dr. Malcolm Sanford, Professor Emeritus at the University of Florida and beekeeping specialist. We’ve all heard of the bee-pocalypse leading to the collapse of the honey bee and the food supply. Thus, the mantra continues. What’s happening to the honey bees? Dr. Malcolm Sanford, Professor Emeritus, University of Florida urges everyone to take deep breath. Although the honey bee is definitely in trouble in some localities, it is not in all. The variables affecting honey bees and beekeepers are numerous and include issues with pesticides, introduced pests and pathogens, habitat disruption, and climate change. Many of these Dr. Sanford has addressed in his over-30-years of work as an extension specialist in beekeeping, known in most areas of the world as apiculture. See his publication record here. Even in retirement, Dr. Sanford continues to write his Apis newsletter under the sponsorship of Bee Culture Magazine. Dr. Sanford confirms that the honey bee is not about to disappear as long it has a human constituency to keep it going. Like other domestic animals, this insect is simply too valuable to be abandoned by humans to the elements of what is being called the Anthropocene. In fact, press coverage has been so over the top in some cases that an enormous number of new small-scale, urban beekeepers is entering the field. To cater to this audience, he has published a book to help those understand the fascinating relationship that exists between humans and honey bees. 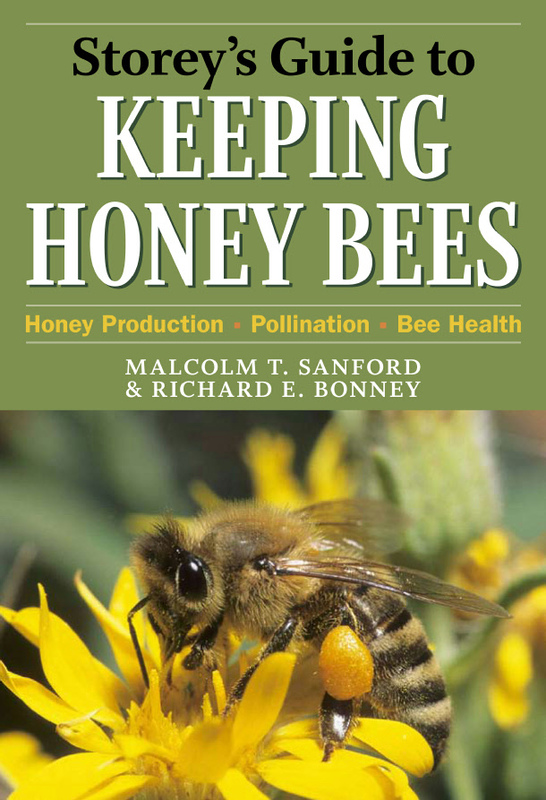 Storey’s Guide to Keeping Honey Bees has been adopted as the official text for the on line apprentice level beekeeping course, U. of Montana. It is also included in every beginner kit sold by Betterbee.com and marketed in Australia by the Commonwealth Scientific and Industrial Research Organisation (CSIRO). A review in The Florida Entomologist provides an in-depth description of the volume. See other reviews at Google books and the blog, makingbeehives.com.